Search For "Environmental Markets" Companies in Durango, Colorado - Click Here Now! The Woodchuck Arborists Take Pride In What They Do And See The Beauty In Heathy, Well Groomed Trees. We Have The Experience And Equipment To Handle The Biggest Jobs Safely, Without Damage To Your Property. Give Us A Call For A Free Estimate. 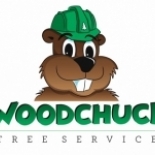 Woodchuck Tree Service in Durango is a company that specializes in Forestry Services. Our records show it was established in Colorado.